A quick and easy hack to help your berries last longer! Fresh strawberries, raspberries, blackberries, blueberries, etc. 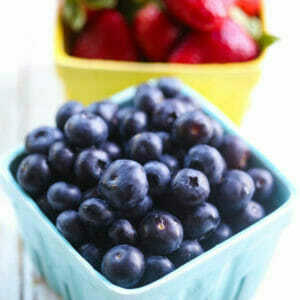 Place berries in a bowl (either together or separate, depending on how you want to use them). Add 1-2 tablespoons vinegar per bowl, then fill with lukewarm water. Agitate gently, then allow to stand for 20 minutes, agitating every 5 minutes or so. Drain and rinse, then store in an airtight container or ziploc bag.